Rakesh Roshan, the man responsible for making super hit films like 'Kaho Naa Pyaar Hai', 'Krrish' and 'Koi Mil Gaya', has completed 50 years in the Hindi film industry. His son Hrithik Roshan took to his official Twitter handle and revered his father with this congratulatory tweet, which he captioned: "Celebrating 50yrs of dads journey in cinema. But he's in office working 2wards 100.Thanks dad,4setting d impossible example 4us. #weluvyoupapa." It is to be noted here Hrithik Roshan’s career is all owing to his father Rakesh Roshan who launched him in 'Kaho Naa Pyaar Hai'. The actor turned film director, Rakesh Roshan, made his acting debut in 1970 with 'Ghar Ghar Ki Kahaani', and then starred in numerous hits of Bollywood. But we all would agree that he is best remembered for his films as a maker and not actor. When he delivered 'Kaho Naa Pyaar Hai' in 2000, marking his son Hrithik Roshan’s debut, people went crazy after the father-son duo. The handsome hunk with a yesteryear actor directing his son would have to be a sail as easy as pie. 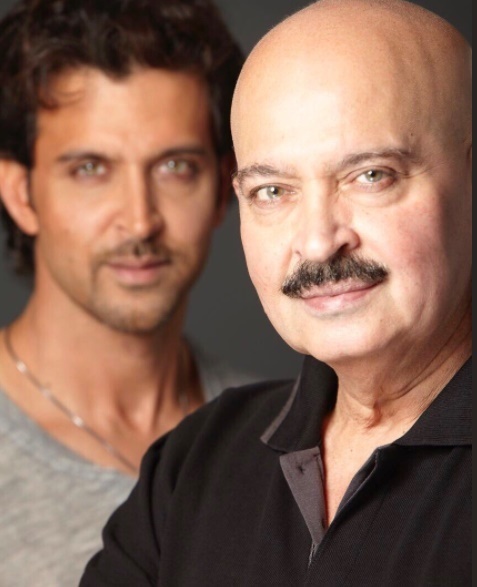 There is no report about Rakesh Roshan’s next film but his son Hrithik Roshan just delivered one of his career best performances in 'Kaabil' and he will next be seen in 'Hrudayantar'- a Marathi film.